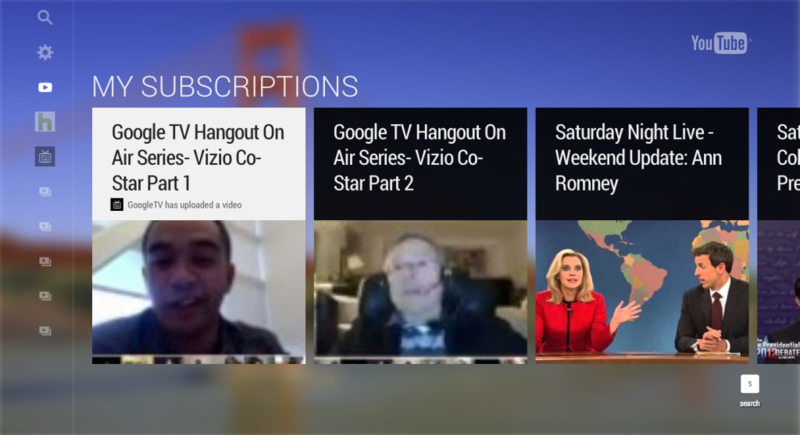 YouTube recently introduced YouTube TV, a new version of their leanback version of the popular online video site specially designed for the big screen in the living room. The interface makes it easy to scroll through video’s and removes all the distraction that is present on the regular site such as ratings, comments, and banners. When you follow curated YouTube channels you can easily browse through the latest video and find recommended content. The most unique functionality as a results from the update is the ability to control the interface from your mobile device. 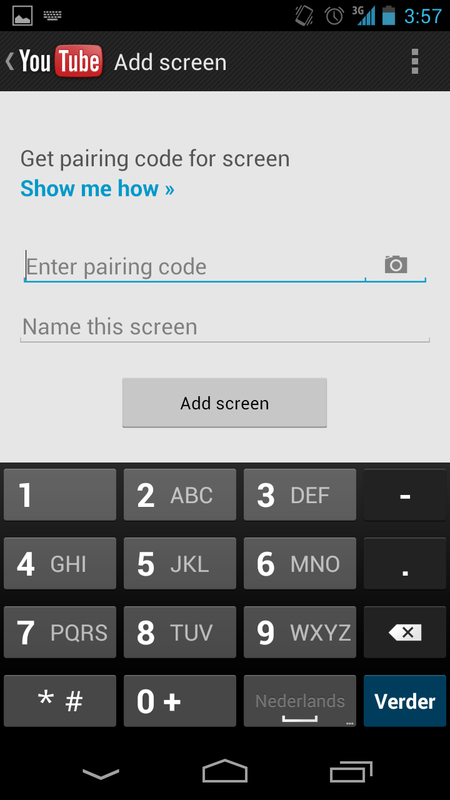 When you want to connect your mobile you’re asked to visit a mobile website and enter a code that is shown on the big screen. 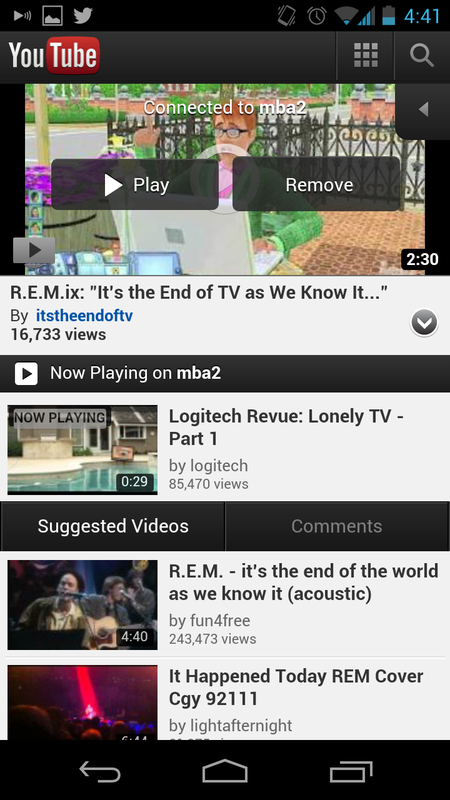 After connecting your device you can browse for video’s and play them directly on the big screen. 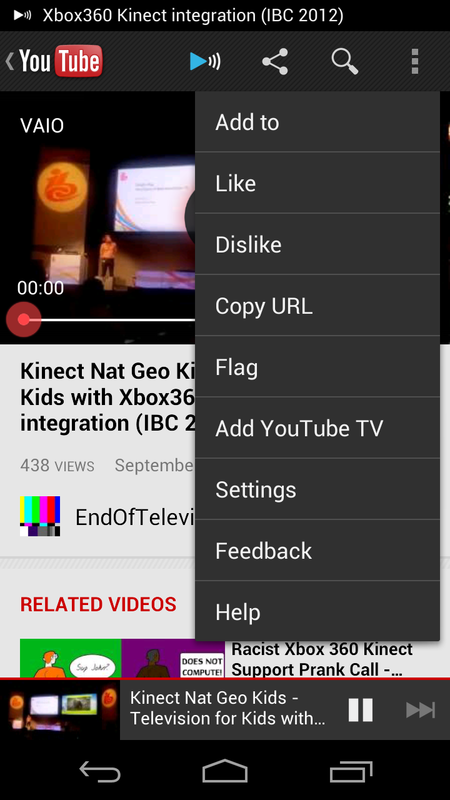 This works both with the mobile website as with the YouTube application for iOS and Android. As a result YouTube TV works on any screen that has a browser and can be controlled by most mobile devices. The Dutch startup WappZapp provides a similar experience but integrates more (on-demand) sources into their platform. When you visit the website you are asked to connect the WappZapp app on your mobile (iOS) device using an unique code after which you can select video’s within the app and stream them within the browser on you TV set. The latest update from YouTube TV provides a similar experience but for any screen and with any device and is a next strep for YouTube to become more dominant on big screen.